Fri Mar 02 2012 09:12 Beautiful Soup 4 Beta 10: Hey, two in a row. The "release candidate" thing was a lie; the big change is that I ported and incorporated Simon Willison's soupselect project. So you can now combine the Beautiful Soup API with CSS selectors. 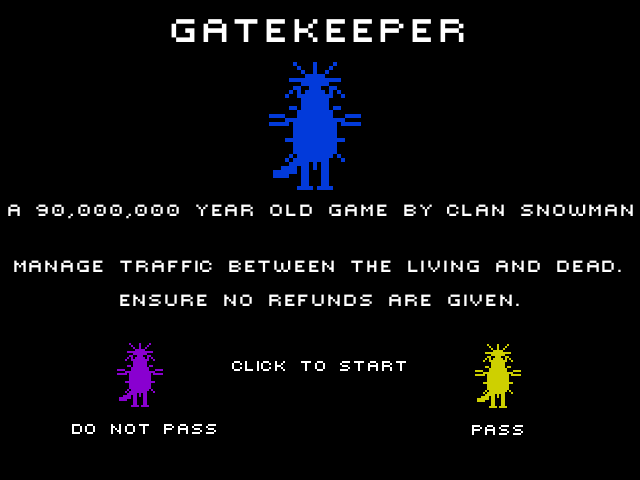 Except I just realized that I ported an old version of the code, so I'll be doing another release. Anyway, here it is in the BS4 docs. And the book's its very out-of-dateness reminded me of something I'd forgotten about. The Cassini probe was launched when I was in college (I remember a flyer for an anti-Cassini protest at JPL, the point being that Cassini might explode on the launchpad like a Ranger and contaminate Cape Canaveral with radioactivity), and in Moon Hunters it's on its way to Saturn. But now it's there, like a jump cut! And (this is the part I'd forgotten) Cassini included a probe, Huygens, whose job it was to land on Titan. That's why it was always called "Cassini-Huygens" on the news. It wasn't just NASA and ESA fighting over the name of the mission. And Huygens was instrumented with a microphone. Wow! So I went to the Internet looking for the microphone data, and I was not disappointed. By that I mean: I found some sound files. The Planetary Society offers 'sounds from the Huygens "Microphone"', and those quote marks should be a clue as to how this is going to turn out. This semi-technical description of the Acoustic Sensor Unit explains all: the "microphone" is part of a set of instruments that examined Titan's atmosphere during the descent. It's designed to detect a thunderstorm. It takes a sample once every two seconds, and its share of the Huygens bandwidth is a measly 480 bits per second. It's basically taking Polaroid pictures of the ambient sound—not something the human sense of hearing can deal with. But the Planetary Society gamely processed the data into sound files approximating what you would hear if the microphone was much better. And... it sounds like wind, because Huygens is falling through atmosphere. No thunderstorms. There are files reconstructed from the data recorded while Huygens was sitting on the surface. (Well, it's still sitting on the surface, but from back when the battery worked.) Unfortunately, according to Peter Falkner of ESA, "all the sound we can hear is likely internal to the microphone." So in terms of the gee-whiz factor, the microphone is a bit of a bust. It doesn't help that Huygens's only visible-light image from Titan's surface looks like a daguerreotype of Mars (see comparison). No wonder I forgot all about Huygens. As an antidote, I recommend Cassini's amazing photos of Titan from orbit, including radar images of the hydrocarbon lakes. This wasn't the Planetary Society's first venture into astroacoustics. In the 1990s, three Berkley scientists developed "The Mars Microphone", an actual human-ear-like microphone that would work on Mars. Unfortunately it went to Mars with the Mars Polar Lander, which was lost during landing. Another Mars Microphone was supposed to go on the ESA Netlander mission, but that mission was canceled for being too expensive. The Phoenix lander had a Huygens-like low-resolution microphone as part of its Mars Descent Imager, but (I'm synthesizing contradictory reports here) MARDI was not turned on during descent because it could have screwed up the landing. The MARDI microphone was turned on after landing, but no data was received. It's a legacy of heroic striving towards almost certain disappointment, but there's another MARDI on the Mars Science Laboratory, so let's check back in August. Wed Mar 14 2012 12:26 Beautiful Soup 4.0.1: It's been nearly two weeks since the release of the last BS4 beta, and no one has reported problems with the code. I'm sure there are still problems, but at this point the best way to find them is to do an official release. So, I present the first full release of Beautiful Soup 4, 4.0.1! If you're just tuning in, Beautiful Soup 4 is nearly a complete rewrite that works on Python 2 and Python 3. Instead of a custom-built parser from 2006, Beautiful Soup 4 sits on top of lxml (for speed) or html5lib (for browser-like parsing) or the built-in HTMLParser (for convenience). Methods and attributes are renamed for PEP 8 compliance, and Beautiful Soup 4 incorporates the soupselect project to provide basic CSS selector support. I completely rewrote the documentation, Beautiful Soup's secret weapon since 3.0, for clarity and completeness. That's the major stuff. Even though most of the code has changed, my goal was not to add a bunch more features, but to make sure Beautiful Soup will still be usable and useful years into the future. Beautiful Soup 4 is mostly but not entirely backwards compatible with Beautiful Soup 3. 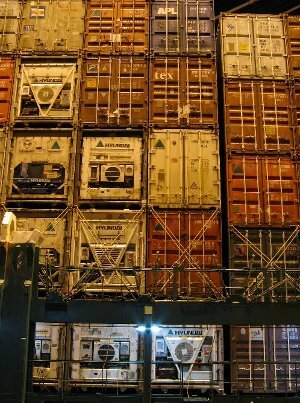 Most users should be able to switch from 3 to 4 just by changing an import line. In the Python tradition of sticking a number on the end of your module name when you break backwards compatibility, I've released it as a separate package, beautifulsoup4. This release also inaugurates the Beautiful Soup Hall of Fame, featuring the uses of Beautiful Soup that I personally find the coolest or highest-profile. So, try out Beautiful Soup 4 the next time you need to do some screen-scraping. If you've used Beautiful Soup 3, I think you'll be pleasantly surprised. If not, I'll just say I hope you like it. I've thanked them before, but special thanks are once again due to Thomas Kluyver and Ezio Melotti for helping me get everything working under Python 3. The first release is called 4.0.1 instead of 4.0.0 because I've been bitten by clever packagers before and I don't want them thinking "4.0.0" is an earlier version than "4.0.0b10". (5) Mon Mar 19 2012 08:39 The Pitch! 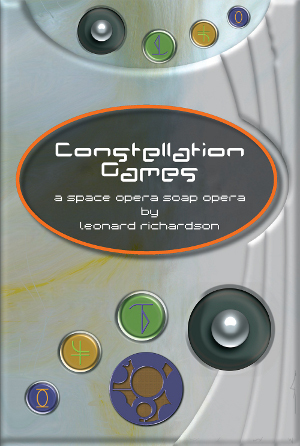 : Hey, folks, Leonard here, telling you that if you haven't bought your copy of Constellation Games, still the greatest novel about video games from outer space, now is probably the single best time to buy. Sure, you were skeptical at first. Ever since standing in line for that midnight showing of The Phantom Menace, you've been wary of things that seem awesome. You thought, "can this guy bring to comedic science fiction the same epic scope we saw in RESTful Web Services?" But now Part One of the novel has been sent to subscribers, and random commentary readers are calling it "STONE COLD BRILLIANT" and "some of the most fun I've had in years". Even normally reputable publications like Wired's GeekDad have called it a "wild ride" that's "so much fun to read". Now here's where your late-adopterhood pays off: with the completion of Part One, all subscribers have been given access to a compiled PDF of the novel so far. That's about 50,000 words in a single unencumbered file you can drop onto your ebook reader or your fancy smartphone. This means you can subscribe to CG for $5, read the first sixteen chapters in one huge gulp, and then start reading the rest of the story as the chapters come out every Tuesday. Or you can subscribe at the $20 level, read the PDF at a more leisurely pace, and finish the whole story when the paperback comes out next month. For $20 you'll also get three bonus stories that take place before/during/after the novel, and an irreverent guide to a pathologically strange alien language. With all this stuff on the table, you silently think, why not keep waiting? Won't we just offer more in the future? THE ANSWER IS NO. Once the paperback comes out, the bonus stories and language guide stop being pack-ins and become "sold separately"s. The paperback on its own will cost $20. (I don't know exactly how this is going to happen, but that's the gist of it.) So the best deal is to shell out $20 now for early access to Part One and a lot of preorder bonuses. If you hate paper, you can pay $5, catch up on the novel the way you would a web comic, and buy the bonus material later. Friend, don't let the fact that I seem to think it's a great idea to call you "friend" in a sales pitch, dissuade you from shelling out your hard-earned PayPal balance for this quality entertainment. Here's the subscription page, and here are the first two chapters so you can see what you're getting. The whole thing could be yours for the cost of a really, really enormous gumball, a gumball that won't fit in your mouth so why even bother? This is a much better deal. Friday's BCDIC adventure inspired by C.E. Mackenzie, "Coded Character Sets, History and Development" (1979), a book ½ boring and ½ AMAZING. If I'm reading "About The Author" right, Charles Mackenzie was IBM's man on the committee that created ASCII. In celebration of his great book, today I broadcast the best bits that can be summarized in 140 characters. Why limit it like this? Because I laughed at that quote the first time I read it, then realized I had in fact experienced that aggravation. Supplementary information from my friend @enf's paper "The Evolution of Character Codes, 1874-1968"
But COBOL "created a requirement for both the 'commercial' and 'scientific' graphics within a single application"! (p381) Thanks, COBOL. Death of the lozenge: "Attempts to persuade the standards committees to assign [⌑] in ASCII were unavailing." 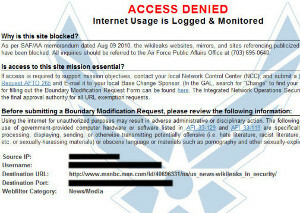 Thus, omitted from EBCDIC too. I don't understand the Katakana EBCDIC problem, but at one point character order broke collation order, a la "abcdefghijkluvwxyzmnopqrst"
Exotic EBCDIC control characters: "Digit Select", "Start of Significance", "Reverse Line Feed", "Graphic Escape", "Eight Ones". And now for act 2: ASCII tidbits! Now it gets bonkers. 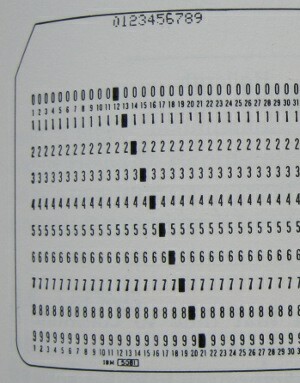 ASCII was designed without regard to how it would look on punch cards! It's a disaster! Takes up 80 pages in Mackenzie. Here's the big problem. Punch cards have ≥10 rows. Most data is numeric. Hollerith coding punches row 0 for "0", row 1 for "1", etc. But ASCII encoding of digits punches row 5 and 6 for *every* column, "lacing" it. The punch cards will fall apart! Problem #2: Hollerith coding encodes space as 0x00. That is, no punches on the card. But ASCII space is 0x32, which punches row 6! So ugly! Problem #3: Hollerith lets you "overpunch" a card to represent -5 in a single column. ASCII makes you put "-" and "5" in separate columns. Solution: A standardized Hollerith-type encoding that works for ASCII or EBCDIC. Space is an empty column, no overpunching for negative #s.
And that's Mackenzie: the history, politics, and design of some of the most influential standards. Not riveting, but full of great stuff. Evan Prodromou and Kragen Sitaker both recommended "An annotated history of some character codes". spacehobo also provides some illumination on the Katakana problem: "kana are syllabic, so there's a received grid ordering for the characters that has lanthanide/actinide-style break-out areas"
Zack Weinberg complained: "All these struggles over what punctuation to include, but nobody suggests cutting back on the number of control characters. 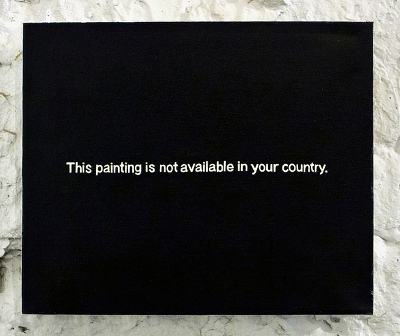 Nearly all of which are now useless." Actually, lots of people wanted MORE control characters. Lowercase letters didn't get into the original ASCII because people wanted to reserve that space for control characters. I think they were imagining that as more types of technology were invented, control characters would have to be added to ASCII for each one. So by now ASCII would be full of modem commands and graphics primitives, but have no lowercase letters. Why is "A" ASCII 0x41 instead of 0x40? "Ferranti had A as 1 instead of 0 so they could have NUL be 0 in a 5-bit code with mode shifts between alpha and digits." Apropos @: "I really think @ is 0x40 because it is the most US-centric character so the easiest to do without in a 5-bit subset where it's NUL... But the major proposal that put @ there (Allen Whitman 4/2/1962) was arguing mostly for keyboard layout." 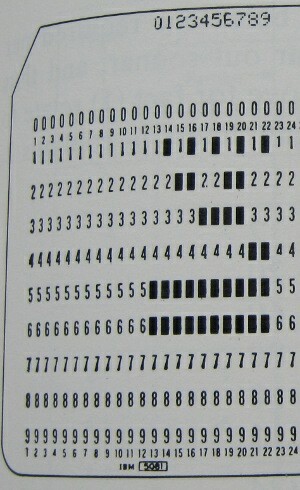 Why was ASCII not designed for use on punch cards? "They really expected computers to use a 6-bit subset subtracting 0x20, putting space at 0x00. 8-bit bytes came as a surprise." Kragen Sitaker says: "They're also used in Smalltalk: ↑ is "return" and ← is :=". Dan Hirsch adds: "This is the reason that old smalltalk sources use _ as an assignment operator." spacehobo says: "I think I read in Jennings that := was meant to be ascii-art for ← once _ won out"